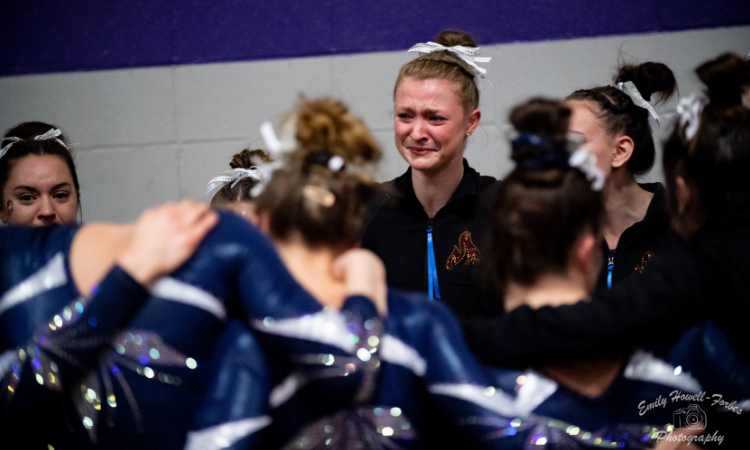 After the last competitor finished her routine at the USAG National Championships team final, the audience—composed of parents, siblings, friends and fans—collectively held its breath in anticipation of the final scores. Everyone’s eyes were locked on the scoreboard, which would soon flash the results of this year’s national championship. After a deadlocked competition, who would take the title? The display lit up with what would elicit disappointment for some and victory for others. The winning team—Lindenwood—and its fans rose uproariously to their feet with an emotion that can only be described as pure elation. The runners-up and their supporters, shocked and crestfallen by the end result, looked like they had just gotten the wind knocked out of them. But for that team, seeing the final score—regardless of what it was—brought a whole different kind of emotion: heartbreak. The initial moment only belonged to Lindenwood briefly. Because the parents of the winning squad, as if sensing the pain and anguish this moment brought to another, selflessly gifted it to a group that needed it more. They began chanting “UIC, UIC, UIC,”—a battle cry that symbolized unity, sportsmanship and compassion all at once. Half of the spectators and the participants in the arena, those with knowledge of what this chant meant, joined in—their voices rising louder and louder in an echo of solidarity. In this moment, the results of the competition slipped away. In this moment, all four teams became one. Because after 40 years as an NCAA gymnastics program, tonight would be the last time the University of Illinois at Chicago competed together as a team. In September of 2018, a week after school started for UIC, the coaches and gymnasts received an email from the athletic department calling them into a meeting the next morning. When the gymnasts showed up, their coaches were already there, and they were crying. 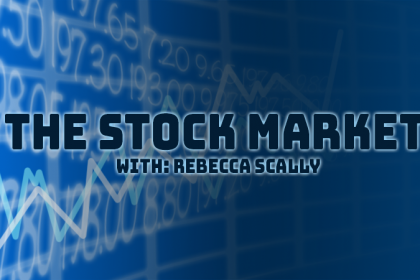 “At first I thought maybe they were cutting the funding for our clothes, or cutting money for equipment, something like that,” freshman Alisa Sheremeta said. It was worse. The administration was cutting the entire program—which includes both men and women’s gymnastics. They had not consulted with any of the coaches on this decision. In fact, Peter and Mary Jansson, a married couple and longtime coaches of the women, only had the news broken to them a half hour before the meeting. Peter Jansson thinks the decision stemmed from one major factor: conference affiliation. The majority of athletic programs at UIC are aligned with the Horizon League conference, which doesn’t include the sport of gymnastics. 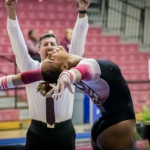 Since the team is excluded from participating under UIC’s athletic conference, it instead competes in the Midwest Independent Conference with five other gymnastics programs. Despite gymnastics being one of the best-performing programs at UIC, the administration is instead choosing to focus on how sports teams rank in the Horizon League. And since gymnastics isn’t even a participant, it may have seemed like a natural choice for the administration to let the program go. This is frustrating for the coaches and athletes since both teams perform extremely well. The men’s gymnastics team is the only athletic program at UIC to have won a national title. The women’s team has had a record-breaking season, winning both the Illinois State Championships and the MIC title for the first time since 2013. Peter Jansson said he’s also seen a change in mid-major programs “starting to emphasize different values than they did in the past, when having lots of athletes have the experience was very important.” The new strategy, he said, is to spend more resources on fewer athletes. At first, the decision was met with “shock and anger,” according to senior Mikailla Northern. But the gymnasts did their best to stay positive and focus on their gymnastics. Junior Toni Alicke, who joined the UIC gymnastics team from Germany, talked about another approach to creating the right headspace. “From the beginning of the year we talked about it, that we were never going to mention it was our last something; it’s not our last practice, it’s not our last meet, it’s just another meet like any other, and I think that really helped as well,” she said. The team received an outpouring of love and support from the gymnastics community the moment the decision was announced. The team also experienced support from the greater Chicago area. Every major television station and news outlet came to the gym to cover the yanked gymnastics program. NPR aired a 15 minute-long segment after following the team for weeks. There was a social media campaign, #FliptheDecision, centered around saving the UIC gymnastics program. Despite now realizing the school is unlikely to reverse the decision, these efforts helped to maintain hope and positive energy in the gym. The team went on to secure state and conference championship wins, breaking many program-records along the way. The Flames’ 2019 and final year was arguably one of the best the program has ever had. “So it’s just been an amazing year and we have an amazing team—basically family. It’s been positive for sure,” Northern said. The UIC flames headed into USAG nationals ranked No. 2 behind Lindenwood—a team that had overtaken their ranking at the last minute. However, both regular season meetings where the two teams faced off ended in ties. A first-place finish was not guaranteed for either. For UIC, Saturday night would also mark the last competition the Flames participated in together. As soon as the buzzer sounded on the first rotation, all four squads were fighting tooth-and-nail for the title. But the energy was different with UIC, although they were competing just as hard—if not harder—for the final victory. Mary Jansson gave each performer a long hug after every routine in a silent display that conveyed a thousand words. By the end of the third rotation, the top three teams were separated by less than two tenths. UIC finished strong on vault, but it wasn’t enough to overtake Lindenwood, who put up a record-breaking performance on the balance beam, notching a 49.500. Still, the Flames were runners-up with an enormous 196.025—only the second time in history the program has scored more than one 196 in a single season. The finish moved many team members to tears. On Sunday during event finals, team members collected even more accolades. Kayla Baddeley, a sophomore and one of the team’s best competitors, won vault and took third on beam. Sheremeta took second on floor and junior Serena Baker was third on bars. They all collected All-America honors. The Janssons were honored as USAG Coaches of the Year, which earned a thunderous, lengthy standing ovation from the crowd, judges and competitors. 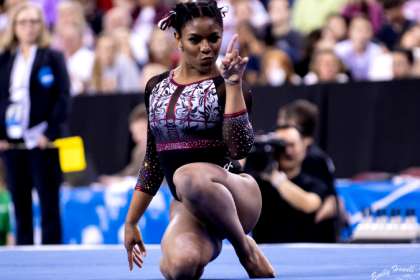 Northern was named the USAG Senior of the Year and won the Mari Rae Sopper award for her passion, dedication and devotion to her team and the sport of gymnastics. 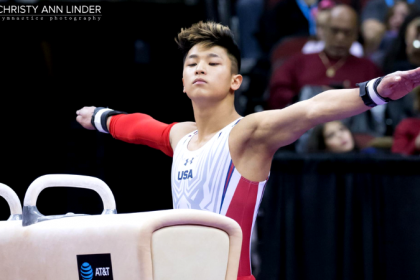 After event finals, Peter Jansson was beaming with pride for how his gymnasts performed this weekend. One of the big questions on everyone’s mind is what happens next? The school’s administration has said that it will honor all existing scholarships for the gymnasts moving forward. UIC is a top school academically, so it is likely that some of the athletes—especially the upperclassmen—will finish out their degree in Chicago. The school has also said it will grant the gymnasts permission to transfer and compete at other schools if they so desire. It is likely some underclassmen gymnasts will take this route to continue their collegiate gymnastics careers. For now, they’re choosing to keep their plans hush. “We’re all just trying to stay positive, but it’s to ourselves right now,” Sheremeta, the superstar freshman, said about her plans for next year. But when asked about what drew the girls to the university, Sheremeta, Alicke, Baddeley and Northern all agreed: gymnastics. The Janssons, who could continue coaching at the club or even collegiate level if positions open up, are unsure of what the future holds. As for their relationship with the gymnasts after this meet, Jansson said the coaches and gymnasts will do their best to remain close as the semester comes to an end. One of Peter Jansson’s recurring takeaways from this whole experience was the power of the sport of gymnastics and the community it harbors. The meet is over, but the “UIC” chant will continue to reverberate. Gymnastics is not a lifetime sport; it instead is fleeting, only ours to practice for a short while. Maybe this program serves as a reminder of that. But what does persevere, and what does engrain itself in the very core of those it touches, is the insurmountable joy and passion this sport can bring. Those that have experienced it will always find a way to stand together, as one. It may be over for UIC gymnastics, but they will walk away from it better than they started. Through the sport of gymnastics, they have experienced love, loss, hard work, success and unity—and nobody can take that away from them. Thank you from the bottom of my heart for covering this team’s final emotional moments. I do believe this is a decision that UIC will regret and one that will haunt AD Garrett Klassy throughout the remainder of his career. The only loss here is for UIC.